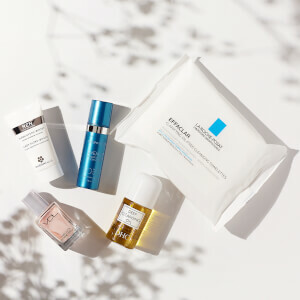 Sleep soundly knowing you'll wake up to more youthful skin. Eminence Lavender Age Corrective Night Concentrate is an indulgent anti-aging serum that provides overnight results. Soothing lavender calms any irritations, while an argan stem cell complex firms and smooths out the appearance of fine lines and wrinkles. Ideal for those with normal-to-dry skin, especially mature. Apply 1-2 pumps over face at night before you apply your face moisturizer. Can also be used alone. Lavandula Angustifolia (Lavender) Oil, Lavandula Angustifolia (Lavender) Water, Butyrosperum Parkii (Shea Butter), Vegetable Glycerin, Zea Mays (Corn) Oil, Caprylic/Capric Triglycerde, Glyceryl Caprylate, Glycine Soja (Soybean) Oil, Simmondsia Chinesis (Jojoba) Seed Oil, Macelignan (Nutmeg) Seed Extract, Gluconolactone, Caesalpinia Spinosa (Tara Tree) Gum, Enteromorpha Compressa Extract, Hydrolized Wheat Protein, Sorbitol, Vegetable Lysine, Plant-based Diglycerin, Lactic Acid, Sodium PCA, Dehydroacetic Acid, Xanthan Gum, Sodium Salicylate, Argania Spinosa (Argan) Oil, Sodium Benzoate, Argania Spinosa (Argan) Sprout Cell Extract, Isomalt, Lecithin, Vegetable Squalane, Ubiquinone, (Coenzyme Q10), Ascorbyl Palmitate (Vitamin C Ester), Tocopheryl Acetate (Vitamin E), Oenothera Biennis (Evening Primrose) Oil. 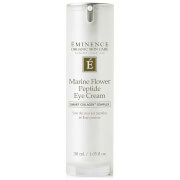 I love Eminence products because they work well on my sensitive skin and don't contain a preservative that most do. This cream makes my skin look young and radiant. People notice it and comment. It doesn't make my face feel hot and it absorbs into my skin.